With Sony purchasing Ericsson out of it's mobile phone venture, it would now be in more control of it's phones and the users like us would have better compatibility and connectivity of these phones with other Sony devices. Check out the Reuters article. As a Sony Ericsson user since more than 4 years, I am quite excited to see "Sony" on the phones instead of "Sony Ericsson" though I am still quite not sure whether it will happen or not as it is up to Sony on how to proceed with the takeover. Windows 8 is the new buzzword in town as Windows 8 Developer Preview is out. If you want to know about how you can also install Windows 8 Developer Preview and and get a hands on rather than just watching YouTube videos on it, then read on. Let's start with the first step and the first question. Where to download the setup from? Well, Windows 8 Developer Preview can be downloaded from the Windows' official MSDN site. Here is the link. 2. Run using a CD/DVD Image reading tools like "Daemon Tools"
If you have multiple partitions on your hard-drive or if you have an external storage device (External HDD) or if you want to do upgrade rather than clean install (we will discuss it in detail) then you can very well go ahead with the second step. No need to burn a DVD. But if you only have on single partition or no external HDD, or if you want to do a clean install, then you'll have to burn the ISO into a DVD before proceeding further. Before moving ahead, let me answer few questions. Upgrading means installing a new version in a pre-installed version and in this case it might be already installed Windows Vista or Windows 7. On the other hand, a clean install here means installing Windows on a formatted/ unused partition or HDD. So, what to do? Well, If you have enough space on your HDD that you can use one entire partition (greater than 16 GB) then you can very well go ahead with a clean install. 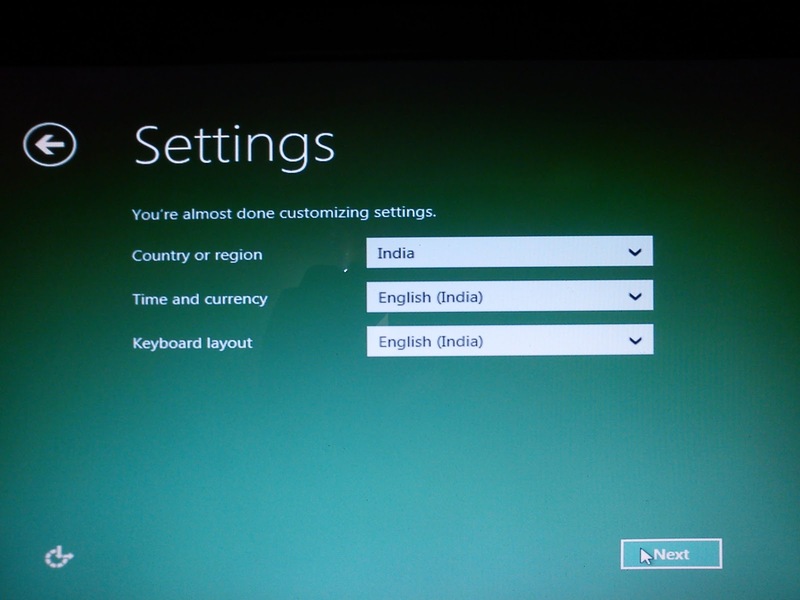 But if you do not have a entire partition available to install Windows 8 on since you have multiple Operating Systems installed on those partitions that you do not want to format, then you can use the upgrade feature. In my case as well, I was having two Windows OS installed on my age-old laptop that I did not want to format, so I just worked hard to free up around 16 gigs of space by reshuffling files and chose the upgrade option. How to read an ISO file? There are various tools available on the internet to read ISO files. Here, I will suggest a way that I found very simple. Just go to www.filehippo.com (click here) and download latest version of Daemon Tolls Lite. Install it. Reboot the system and give the path where the ISO file is stored to one of the drives created by Daemon Tools. Once successfully done, you will see Windows 8 Developer Preview opened in a separate drive in MyComputer. How to burn ISO to a DVD? It is again fairly simple. Among the various tools available online, you can use Nero. 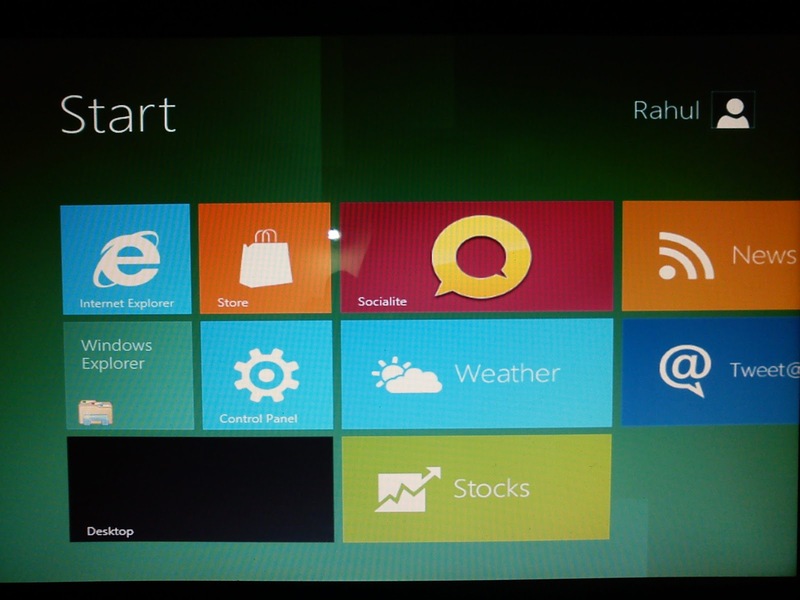 It has an option of burning Image to CD/DVD, Use that and you will have a bootable Windows 8 DVD in your hand. Now, we will go ahead with the "upgrading" option. But if you want to do a clean install, just put the burned DVD in the reader and switch on the computer, boot from the DVD, choose the "custom installation option" and follow the instruction. Just be sure to take backup and wipe clean the partition you are using for clean installation. 1. Load the DVD into the reader or load the image in Daemons tools. 2. You will get a autoplay notification. Run the setup. 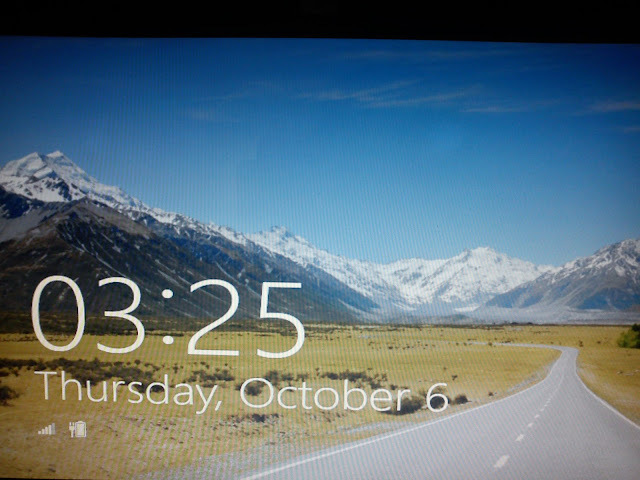 If you don't get autoplay notification, just go to the drive containing Windows 8 DVD/Image in MyComputer, Right click --> Open, and run the setup. Windows Installer has stopped working!! Caution: On Windows Vista machines, you might get an error saying, "Windows Installer has stopped working". This is a identified problem and there is a solution. You just need to open the DVD contents, locate and open the "Sources" folder and find and run the "installprep" file instead of the setup file. Go to the link for details. Caution 2: There is one more problem that I encountered and that you might also encounter. It is "Something wrong happened" error. The installation reaches to 30-40 % and fails after giving this message leaving you furious. But don't worry, there is a solution for this also. Let me also answer one obvious question of how to check the SHA1 hash value of ISO file. 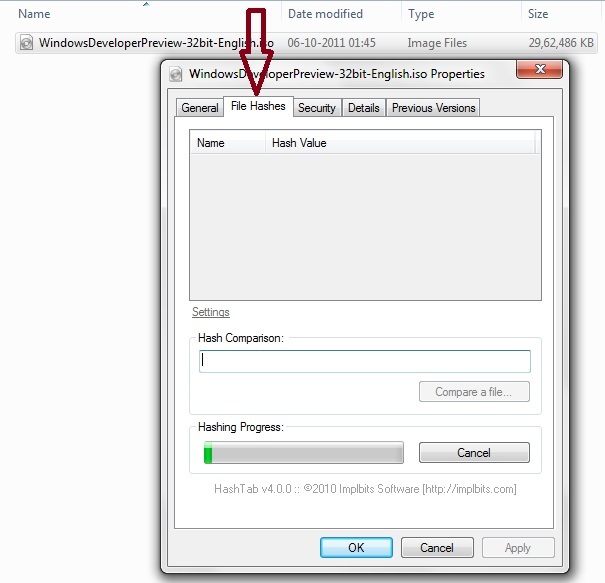 How to check the SHA hash value of an ISO file. 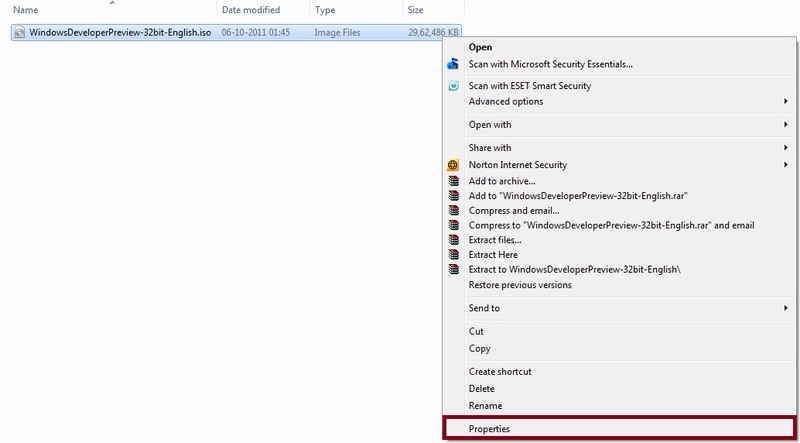 After installing, just right click on the ISO file and check the properties. You'll see "File Hashes" tab on top. Click on it. It will take some time for the Hash values to generate. In couple of minutes, you will see the hash values. Just check and compare with the values provided about. 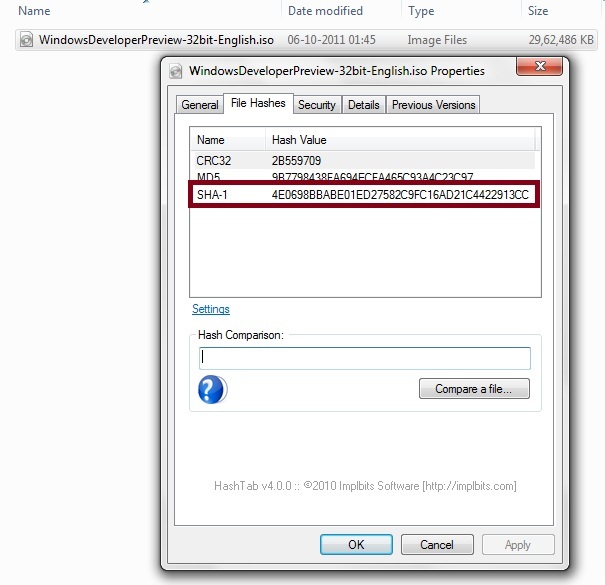 If the hash values mismatch, then download a new copy from the Microsoft link provided above. And repeat the process. Check this link for more info on Hash values. 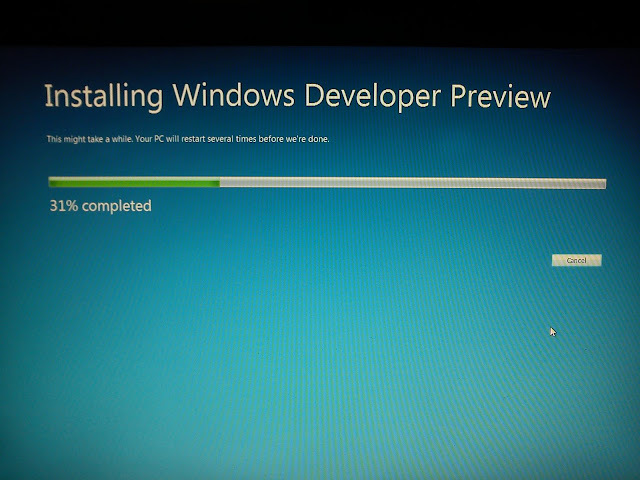 That's all about the troubles for now, lets now see how the Windows 8 Developer Preview installation looks like. You'll be asked for settings related to upgrades and all. I went ahead with express ones. Now choose the country, time and keyboard. 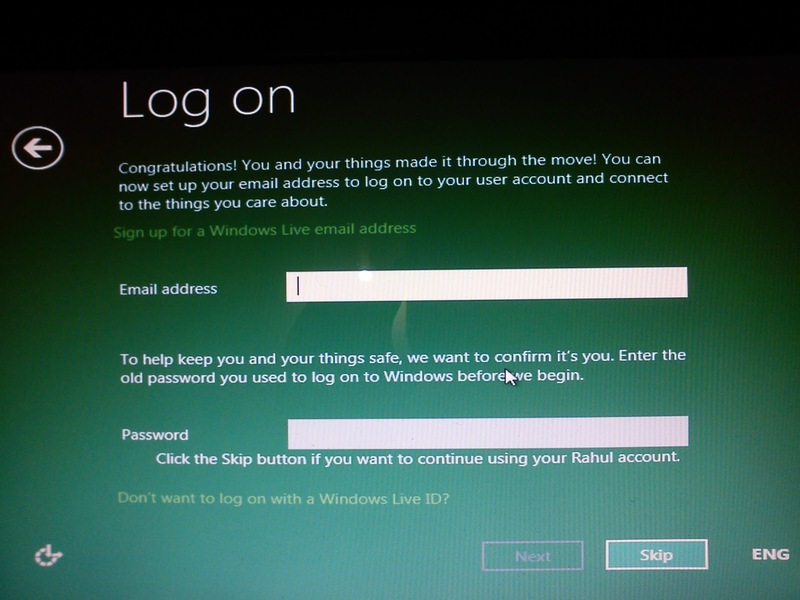 Settings done, You can now connect with the Windows Live account in Windows 8, like what you do with a Google account in Android! ;) :) Here, it's a relatively optional step though! After you are done with filling forms, you get to see the welcome screen and it really is a long road ahead! Lot to explore for you and yet lot to offer for Windows. After doing a bit of preparing stuff, you witness the start screen which is filled with lots of applications. 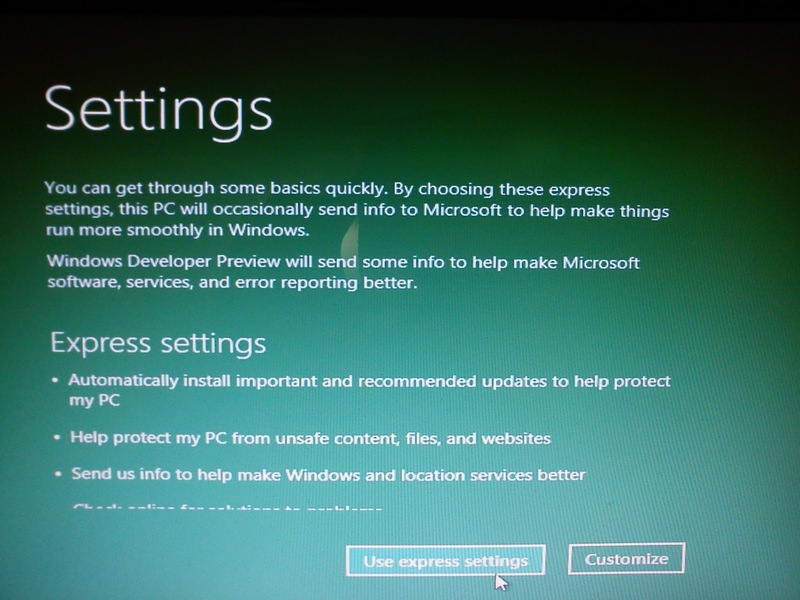 So, that's all about the installation of the new Windows 8 Developer Preview. How to explore these options is another long story that is for us to explore. Feel free to ask any questions you have or difficulties you are getting. I will try best in my capability to answer that.